Bali is a small island with a variety of uniqueness. This island is famous for its history and cultural traditions. The natural beauty, the past history that can still be enjoyed up till now and also the implementation of the Balinese ritual, are the main attraction for tourism activities. The important element that strongly associated with all the uniqueness in Bali is the presence of the great lake of Bali, consist of Lake Batur, Lake Bratan, Lake Buyan and Lake Tamblingan. The existence of Bali great lake provide a broad impact on the environment, history and culture, quality of life and countless economic benefits. Let's take a closer look to the presence of these great lake of Bali. 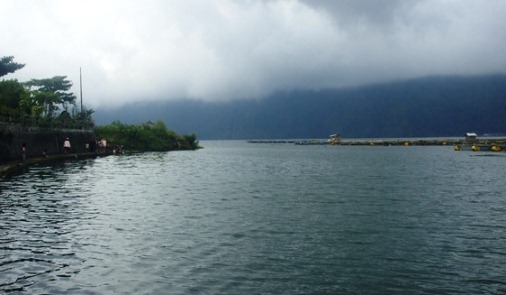 Lake Batur offers a very beautiful panorama. Visitors can also enjoy the beauty of geodiversity from Mount Batur such as hardened blocky lavas, lava flows, lava stream, tumuli and other geological beauty. Lake Batur is the largest lake of Bali and shaped like the crescent moon. 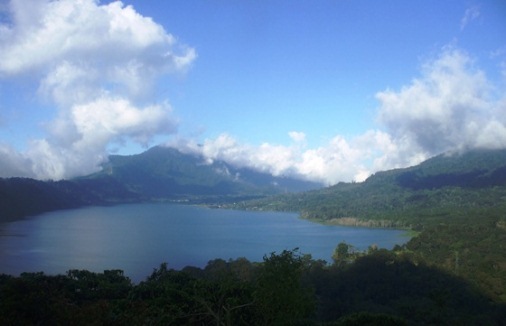 The lake is flanked by two great mount, Mount Batur and Mount Abang, and located in the circle of Batur Caldera. The beautiful lake, the mountain and its caldera combined with the coolness atmosphere, give the visitor an incredible experience! Lake Bratan is renowned as The Lake of Holy Mountain not for no reason. Local people in Bedugul are farmers. Locals is very grateful for the blessings given by God (Hyang Widhi), a fertil volcanic soil from the mountain and abundant of water source from the lake. In addition, from the viewpoint of Hindu beliefs, mountains and lakes is something sacred and respected. So it's not a surprised if people call Lake Bratan as The Lake of Holy Mountain. 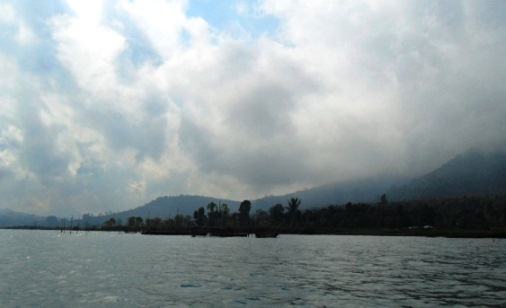 Lake Buyan is the third largest lake after Lake Batur. 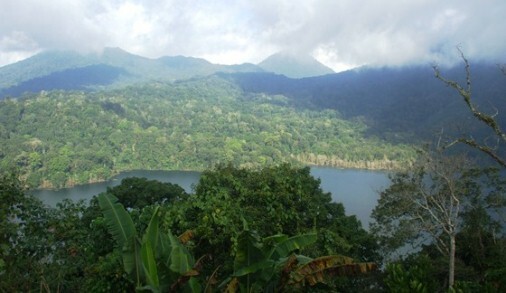 This quiet lake is located in the northern part of Bedugul Caldera. Lake Buyan offers a tranquility of lake which glass-like plus the cool atmosphere of the mountains. Flanked by Lake Tamblingan and Lake Bratan also surrounded by rain forests and agricultural crops. There is a wide-enough flat ground at the southern edge which is suitable for camping or picnic while enjoying exotic panorama of this beautiful lake. 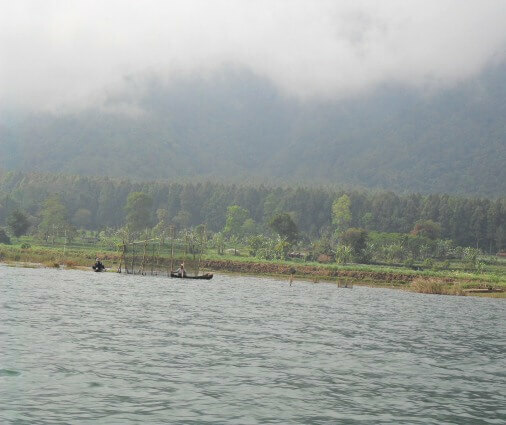 Lake Tamblingan offers a tranquility of lake water which fused with the coolness of mountains atmosphere. 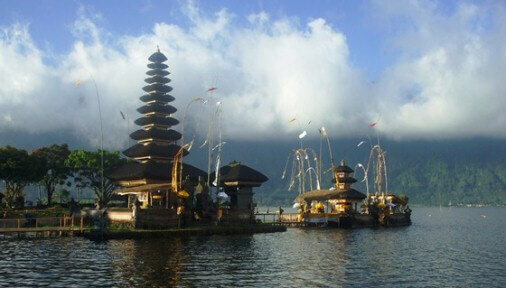 The Lake became a witness to the richness tradition and culture of Bali in the past. Beautiful, sheltered, and full of cultural value which still preserved and stored tightly by The Caldera of Bedugul. Visitors can enjoy the beauty of Lake Tamblingan from Asah Gobleg. This place is located a bit high on the northern rim of Bedugul Caldera . Otherwise shrouded by fog, visitors can enjoy the beautiful surrounding such as mountains, rainforest, cloves trees and vegetable agriculture land. In the physical side, lake is a natural regulator for the flow of the river, sidemen and nutrient traps. 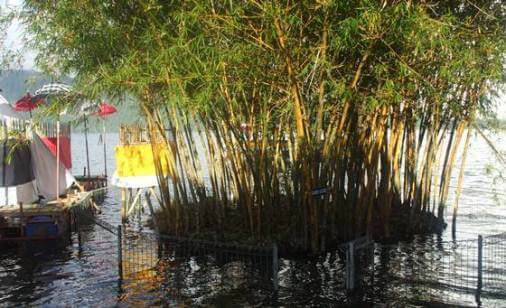 Lake can ease the impact of floods and droughts with its functions storing large amounts of water and releasing it during shortages through the spring that flows to the river. Lake works to replenish groundwater, preserve the ecological diversity, affecting water quality downstream and protecting the habitat on its area. In terms of improving the quality of life and economics benefit, the lake of Bali provide excellent quality water for life and offer a wide economic benefit. From the benefits of recreation and tourism up to supplies of water that support the joints of people's lives. Lakes of Bali is home to history and life of Balinese people from the past until now. The existence of these great lake is mentioned in ancient records and inscriptions which come from the ancient Balinese. 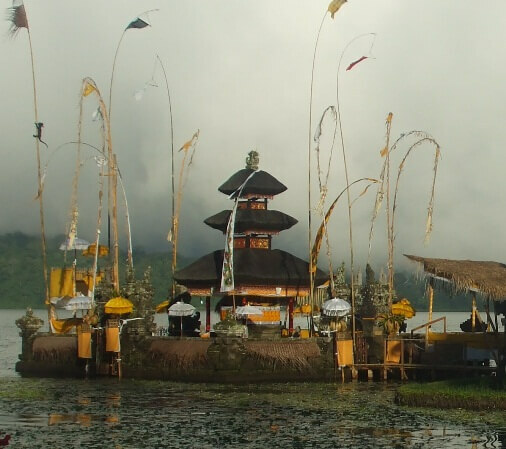 In the spiritual side, the geat lake of Bali also serve as a place for melasti ceremony to the communities around the lake. The melasti ceremony is performed every year in the ninth month of Balinese calendar or "sasih kesanga". Several sacred objects such as statues pratima, pralingga, tedung, lelontek, umbul-umbul, payung rob-rob, payung pagut and other brought to the lake. The purpose of this ceremony is to eliminate suffering, dirtiness of the world and invoke the purification from the water. The great lakes of Bali are the main water resource of subak and water temples. Subak and water temple as an irrigation system are two things that cannot be separated. The water of the lake appears as a springs. Then follows the river flows into the irrigation canal and provide fertility in rice fields. Subak as the cooperative social system that controls the water have together shaped the landscape over the past thousand years and are an integral part of religious life in Bali. Subak also has strengthened communication between its members and minimize conflicts. Water temples are the focus of a cooperative management of water resource by a group of subaks. Since the 11th century the water temple networks have managed the ecology of rice terraces at the scale of whole watersheds. The subak reflects the philosophical concept of Tri Hita Karana. The concept brings together the realms of the spirit, the human world and nature. Tri Hita Karana was born of the cultural exchange with India over the past 2,000 years and has shaped the landscape of Bali. Lake is an important ecosystem not just a simple body of water. By respected, keeping, cared for and maintaining its balance, the lake will provide broad benefits to the lives, much enjoyment and countless economic benefits. It is our responsibility to keep the preservation and balance of The Four Great Lake in Bali. 1. Bali Best Tourist Attractions Top 10. 2. 5 Near & Quiet Island Off Coast Of Bali.